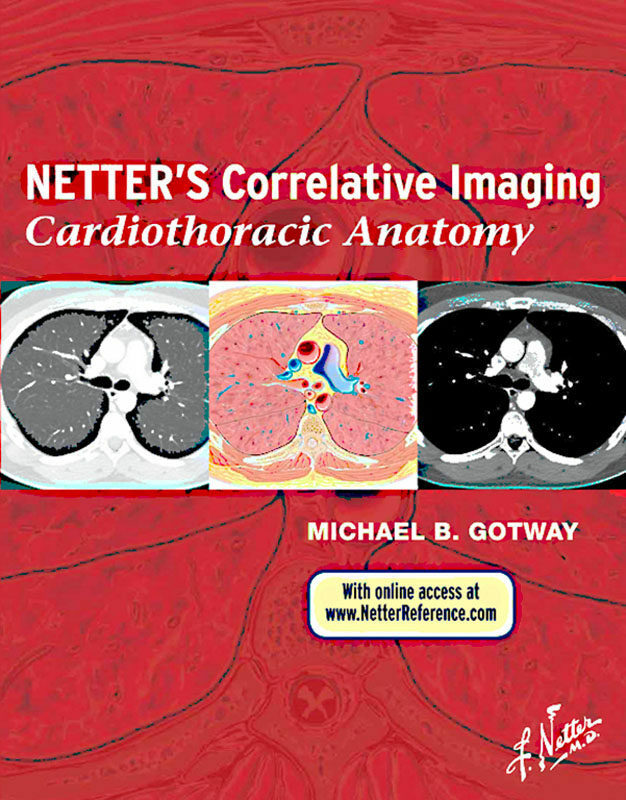 Cardiothoracic Anatomy, the third title in the brand-new Netter’s Correlative Imaging series, provides exceptional visual guidance for thoracic, chest wall, lung, and heart anatomy. Dr. Michael Gotway presents Netter’s beautiful and instructive paintings and illustrated cross sections created in the Netter style side-by-side with high-quality patient images from breath-hold cardiac MR, multislice thoracic CT, and CT coronary angiography to help you visualize the anatomy section by section. With in-depth coverage and concise descriptive text for at-a-glance information and access to correlated images online, this atlas is a comprehensive reference that’s ideal for today’s busy imaging specialists. Consult this title on your favorite e-reader, conduct rapid searches, and adjust font sizes for optimal readability. View thoracic, chest wall, lung, and heart anatomy in breath-hold cardiac MR, multislice thoracic CT, and CT coronary angiography, each image complemented by a detailed illustration in the instructional and aesthetic Netter style. Find anatomical landmarks quickly and easily through comprehensive labeling and concise text highlighting key points related to the illustration and image pairings. Otros ebooks de Michael Gotway.